Product prices and availability are accurate as of 2019-04-11 02:14:09 EDT and are subject to change. Any price and availability information displayed on http://www.amazon.com/ at the time of purchase will apply to the purchase of this product. 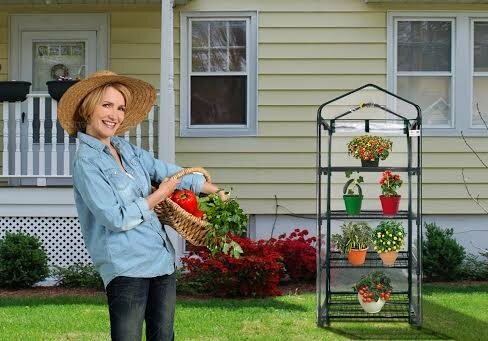 Whether you have ample space or only a small porch, the Ogrow Ultra-Deluxe 4 Tier Portable Bloomhouse Greenhouse provides plenty of room so you can grow your favorite plants, flowers, and vegetables all summer long. 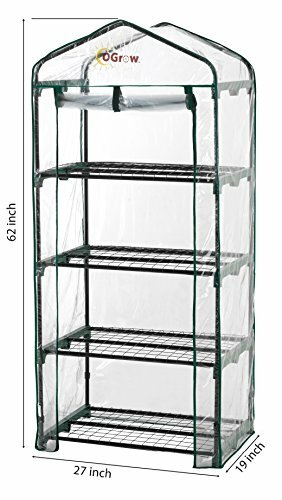 Constructed from heavy duty powder-coated steel shelving that will not rust, these shelves are strong enough to hold your heaviest plants and pots while still providing ample room to grow. 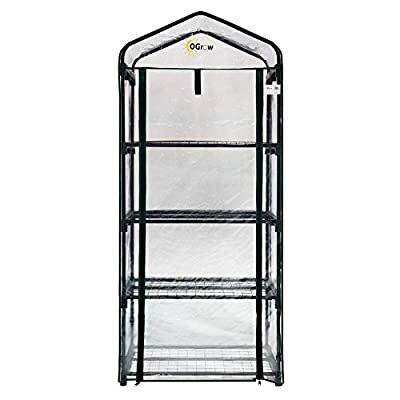 Its strong and durable clear cover will not crack or fade and features a velcro hook and loop connection and rolls up for easy access. 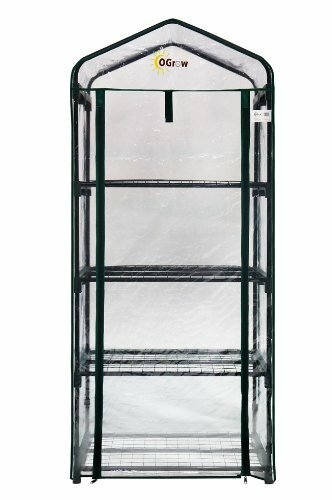 Its roll-up design also allows you to control ventilation and moisture so your plants stay healthy. Made to give you a head start on the growing season, this greenhouse is perfect for displaying your greenery in the full sun. High quality plastic connectors for easy assembly are included and no hardware is needed for assembly. Additional Features Entrance measures 20W x 54H in. Plenty of room for your plants to grow Roll-up cover for easy access Allows for ventilation and moisture control Cover will not fade or crack in the sun Perfect for displaying greenery in full sun High quality plastic connectors for easy assembly Gives you a head start on the growing season Fits in almost any garden Quality materials for long-lasting durability No hardware needed for assembly Specification: Note - Ties to attach the shelves to the frame, and anchors to attach the greenhouse to the ground are not included in this purchase. Heavy duty powder-coated steel shelving. 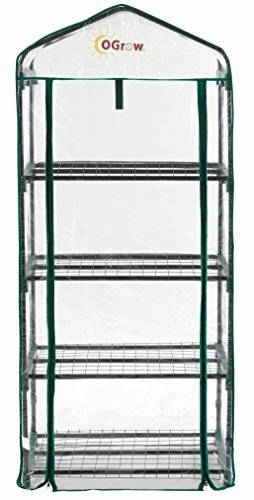 Steel shelving will not rust. 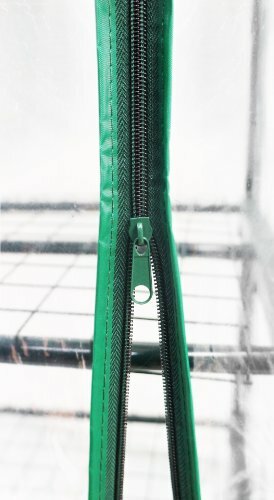 Features a velcro hook and loop connection. Strong, durable, and clear cover. Shelving is made to hold your heavy plants. Measures 27L x 19W x 62H in..